This 96 bed 48,000 sf nursing home is part of the Our Lady of the Lake Bishop Ott Elderly Housing Complex. This community houses different levels of care in the same complex. The building features three residents wings and a dementia unit radiating from two central nurses' stations and common areas. Architectural features include clerestories over the free standing nurses' stations, which overlook the vaulted day rooms. 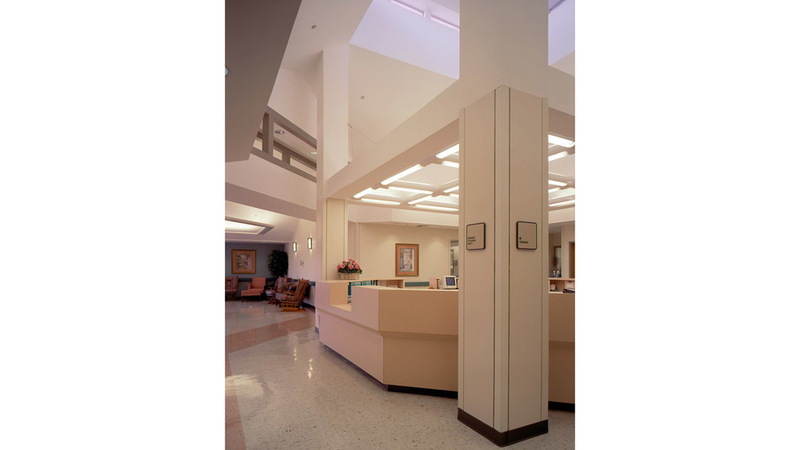 Secured, lushly-landscaped courtyards for different levels of care can be accessed from the day rooms. An expansion which more than doubled the size of the facility was built five years after completion of the original project.